McFarland High School girls basketball head coach Johnny Samaniego waves to the crowd after the team was handed the state runner-up trophy March 8. McFarland coach Johnny Samaniego talks to an official during Friday's CIF Division III Girls Basketball State Championship. With the McFarland girls basketball team on the court in the CIF State Division III Championships, thousands of fans drove five hours north to cheer on the Cougars, as the team played for a state title for the first time in school history. It was also the first time a girls basketball team from the county took the court in a state title game in 29 years. The Cougars lost to Oakland in the finals, but coach Johnny Samaniego stood on the court after the final buzzer and instructed his players to turn around and thank those in attendance. The loss ended a four-year run for a star-studded group of seniors, and one of the greatest playoff showings for a county girls basketball team in decades. 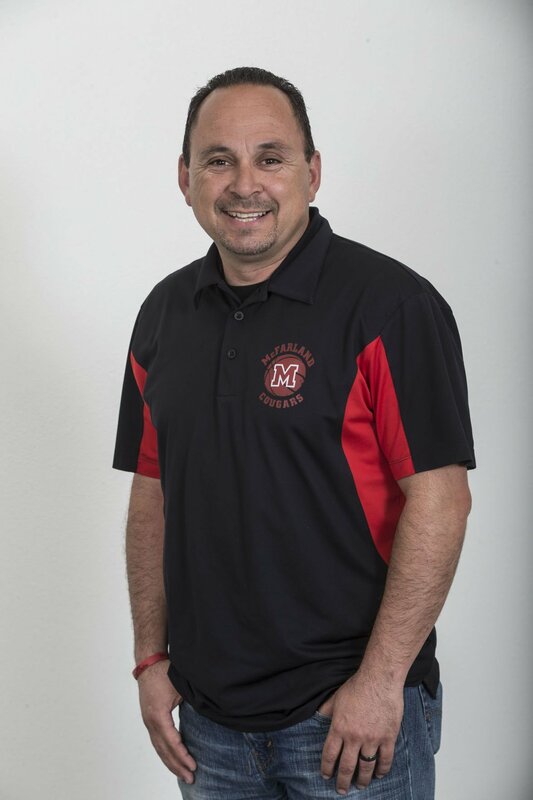 In recognition of that historic accomplishment, Samaniego is the 2018-19 BVarsity All-Area Girls Basketball Coach of the Year. “It’s unlike any other thing I have experience,” Samaniego said. That’s coming from a guy who was part of the first boys cross country title team for McFarland in 1987. He was also the All-Area Boys Cross Country Runner of the Year as a senior in 1989. The day of this year's state title game, the school shut down so the entire community could go to Sacramento. To get to that point, the Cougars navigated through four Southern California regional playoff games at home, where doors were shut before tipoff because the overflow crowd had the McFarland gym bursting at the seams. Those in attendance witnessed history for the Cougars, and ushered out three seniors that all scored 1,000-plus career points.